This news won't make fans of Helen Hunt and Paul Reiser mad: A Mad About You revival is in development. According to TVLine, Hunt and Reiser are in informal talks to return to the roles of Paul and Jamie Buchman. The series aired seven seasons on NBC from 1992-1999. Reiser, who recently appeared in Stranger Things season two, co-created the series with Danny Jacobson. Request for comment from Sony, the show's distributor, was not immediately returned. The show followed newlyweds Paul and Jamie as they lived their daily lives and eventually welcomed a daughter, Mabel. The show also starred Anne Ramsay, Leila Kenzle, John Pankow and Richard Kind. "I've thought about. 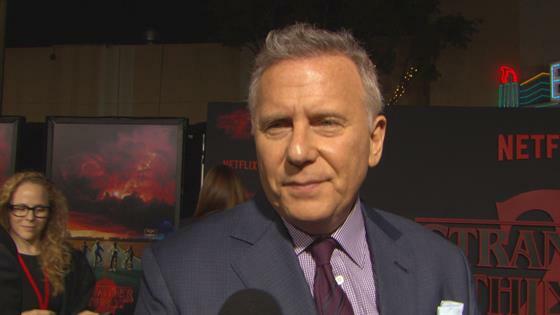 I always said no to a reunion or a reboot and now that everybody keeps asking, it's possible…I always said if there's a reason for it, if there's a story to tell," Reiser told E! News about the prospect of a revival in October at the Stranger Things premiere. Reiser told us there's a new story to tell, one he's experiencing in real life with his own children growing up. TVLine reports the new series, should it come to fruition, would find Paul and Jamie grappling with empty nest syndrome after Mabel goes to college. Hunt, who has spent much of her time behind the camera on TV shows, including directing episodes of American Housewife and This Is Us, returned to TV acting with Fox's Shots Fired. "I'm open to it if we come up with a great idea and if America needs it…If there's a want, if there's a demand, we'll see," Reiser told us. A Mad About You revival would just be the latest 1990s sitcom to return to airwaves. NBC has brought back Will & Grace with its original stars and ABC is readying the return of Roseanne. Fox previously brought back 1990s mainstay The X-Files for a six-episode event series with 10 more episodes coming in 2018. Other recent TV revivals include Gilmore Girls, Prison Break and 24. Revival fever hasn't spared reality television—ABC is preparing to bring American Idol back to airwaves in 2018, just two years after it wrapped its 15-season run on Fox. Do you want to see Mad About You return?